If you’re still undecided on what to wear for Halloween but are on a budget, you’ve come to the right place! 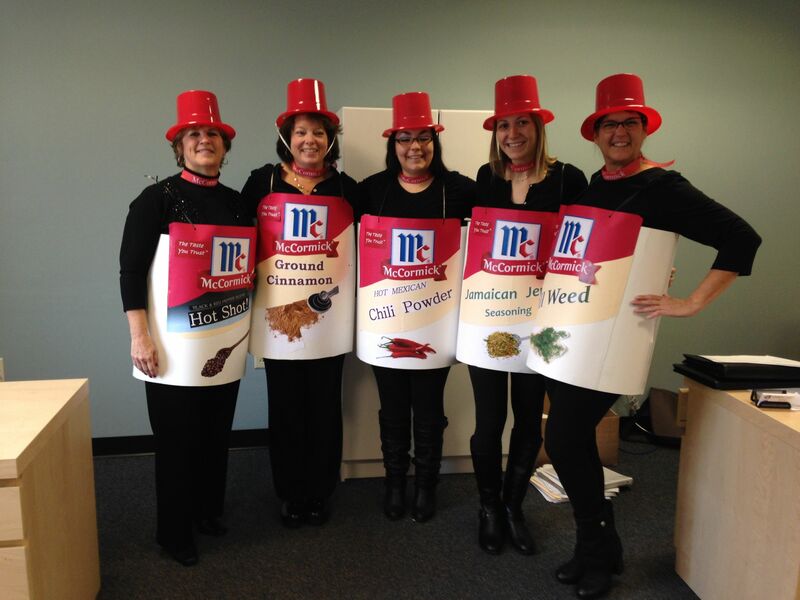 We rounded up 24 clever costume ideas that are all witty, funny, and yes, corny! Throw on any plain shirt and wear a fake medal. Grab a loaf of bread, and strut around like a real breadwinner! A banana split can only be served if you are capable of doing a split. If you can, all you need is a banana costume! Use black adhesive letters to spell out “Go Ceiling!” on a plain shirt and match them up with a pair of cheering squad pompoms. Voila! You’re a ceiling fan! Cereal killers are scary and sweet at the same time. Dress up in your favorite breakfast cereal and add a menacing touch to it like fake blood. Hot-glue a snack-size bag of chips in a plain shirt and stick the chips literally on your shoulder! Take this as an opportunity to eat bags of candy prior to Halloween. Attach the wrappers to your hip-hop outfit, throw on some bling and sunglasses. Don’t forget to prepare rap lines! Spell out “Copy” on a white shirt using black adhesive letters or felt cut-outs. Match it with cat ears and a tail. Carry around some paper and you’ll be a certified copycat. A deviled egg costume is as simple as wearing a plain white shirt and attaching a round piece of yellow paper to your stomach. Finish it off with devil horns and a tail. You’re now a “deviled” egg! This is not the popular girl group you’re thinking. With the endless number of spices you have, you’ll be spicier than they evewere (literally)! Take this one for example. Who knew that those little balls of dust rolling under your furniture would be a costume inspiration? This look can be easily crafted with only a few materials: white or gray tulle, a gray shirt, and a pair of bunny ears! Having a hard time decidind what costume to wear? You’ve reached a fork in the road! Try this easy DIY costume to become a walking metaphor. Attach rectangular strips of white felt down the center of a black shirt and tape a plastic fork over the dotted line. Wear a black beret, a striped shirt, and a DIY “toast” prop. To make the toast, darken the edges of a toast-shaped piece of cardboard using a brown marker. Paint the center yellow to make it look like melted butter, and attach a small square of yellow piece of felt on top. What’s a better way to look apologetic? Wear it. Wear a formal outfit and write “Sorry” on an obvious part of your body to become a formal apology. Spell out “By John Steinbeck” on a purple shirt with white adhesive letters. Attach purple balloons onto the shirt. For the final touch, wear a crown of foliage. Fan of the 60’s rock band? Spell out “THANKS” in a plain shirt and pair it with zombie makeup for a clever throwback only music lovers will get. Slip on a pig nose and pig ears and wrap yourself in a blanket for a deliciously witty Halloween look. Place name tags all over your body and wear a classic robber mask to steal the show! Attach a small Halloween pumpkin on a headband. Print out the Greek letter pi and paste it on an orange shirt. Looking for a costume that’s as sassy as it is witty? Borrow a baby carrier and place a bag of sugar in it to take on the role of a sugar mama! Spell out “LIFE” on a plain shirt using adhesive letters and carry around a bag of lemons to hand out. You’ll be “life” who gives people lemons. Get it? Ever wanted to be a Disney princess? Love eating Tacos? If you said yes to both, then this is the perfect costume for you! Put on the classic Belle from Beauty in the Beast look and wrap yourself in a yellow (or white), Tortilla-shaped cut out to be Taco Belle! After all, you are what you eat. Have any other clever costume ideas? Let us know in the comments section below. Follow our blog for more interesting content!